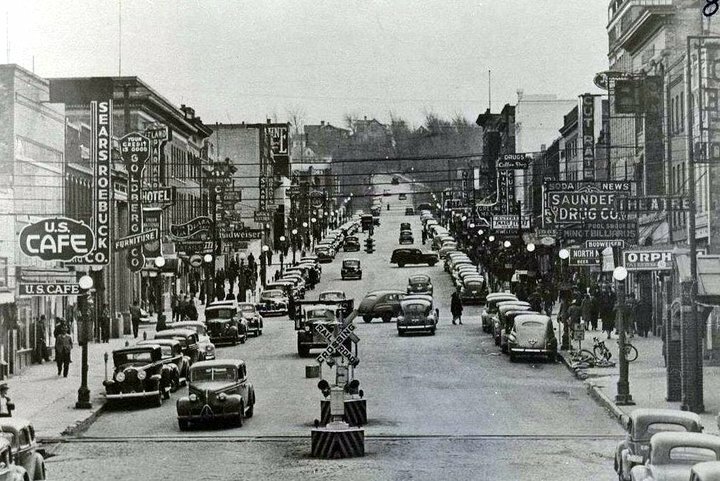 King Leo’s opens in Minot ….. the ad in the newspaper on January 22, 1963 proclaimed that King Leo’s was open for business. They billed themselves as the “Aristocrat of Hamburgers)…. 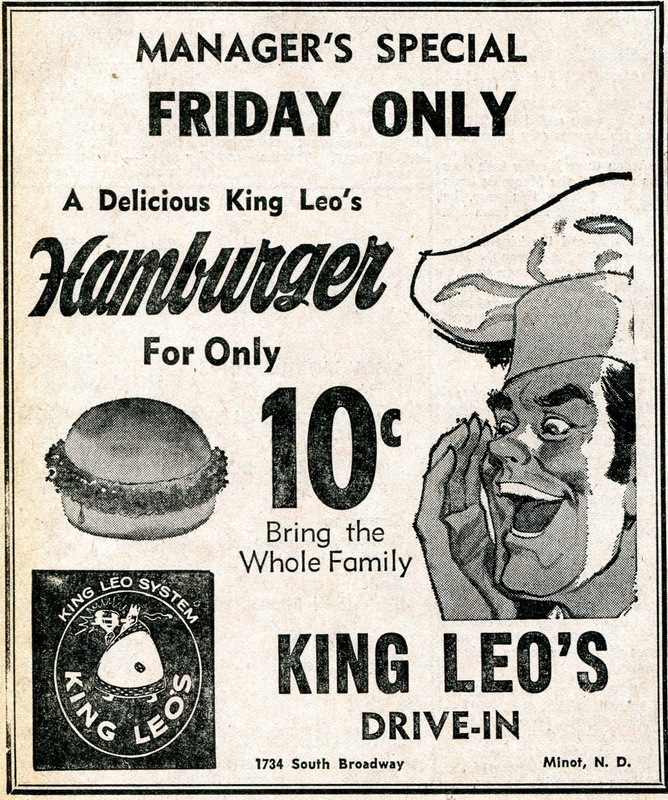 King Leo’s was open Sunday through Thursday from 11 am to Midnight and Friday and Saturday from 11 am to 1 am… The opening menu featured Hamburgers - 15 cents ….. Cheeseburgers – 19 cents ….. French fries – 12 cents …. Soft drinks 10 and 15 cents ….. hot chocolate – 12 cents and triple thick milk shakes – 20 cents …. All burgers were made with 100% US Gov’t. inspected ground beef…. 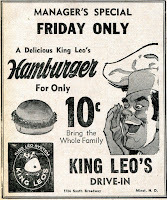 King Leo’s was located on the Magic Mile (south Broadway – where Arby’s is now).